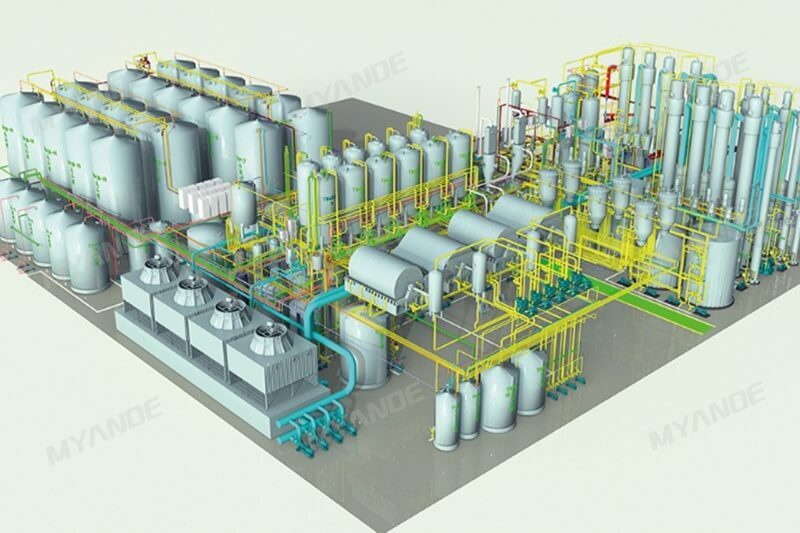 turnkey plants of glucose maltose For Sale | Myande Group Co., Ltd.
From storage house, the starch will be fed into buffer tank and mixed with water to 35% concentration, then pumped to the main workshop and auto-adjust pH to 5.8-6.2, then moderate liquefaction enzyme will be added and ready for liquefaction. 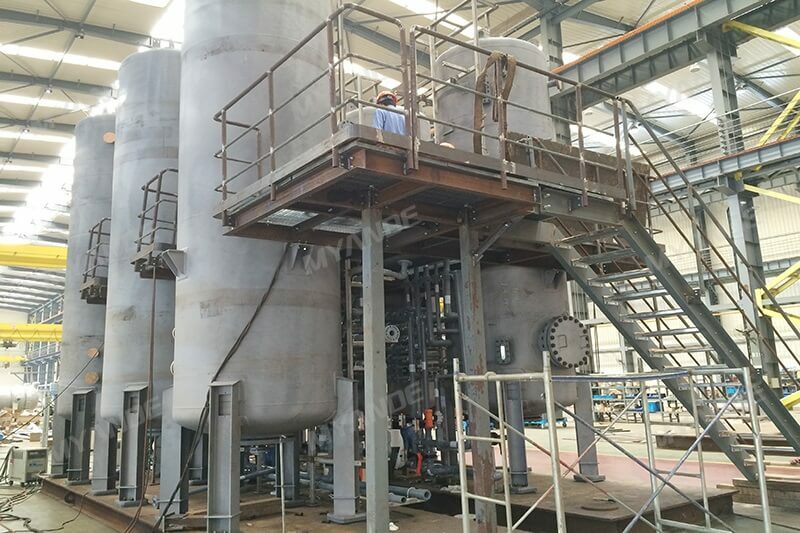 One-time jet liquefaction at temperature 105℃, after liquefaction, the DE value is 12-18, the liquid is clear and protein is in good flocculent condition. 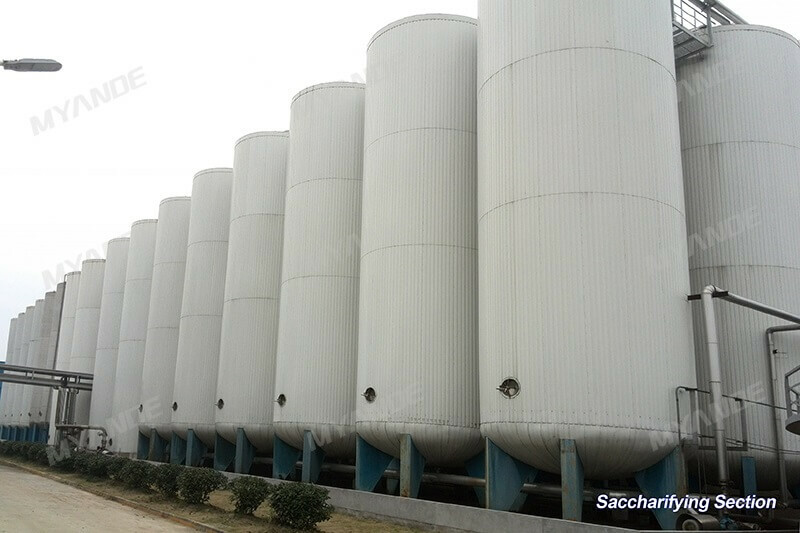 Ejector is imported from USA with high liquefaction rate and monosaccharide content can reach to 95.5%. 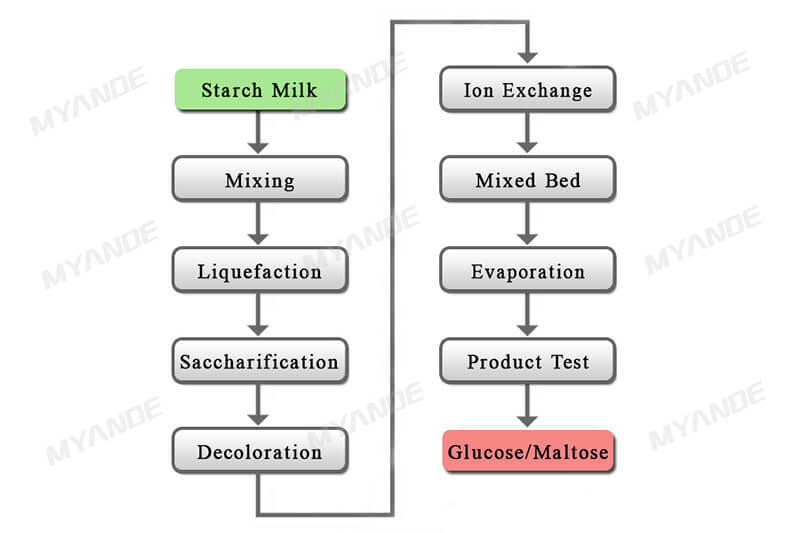 Liquefied starch milk will be decomposed continuously under the function of saccharification enzyme at the following condition: Temperature 60～63℃, PH 4.0～4.5, time 24～48h. 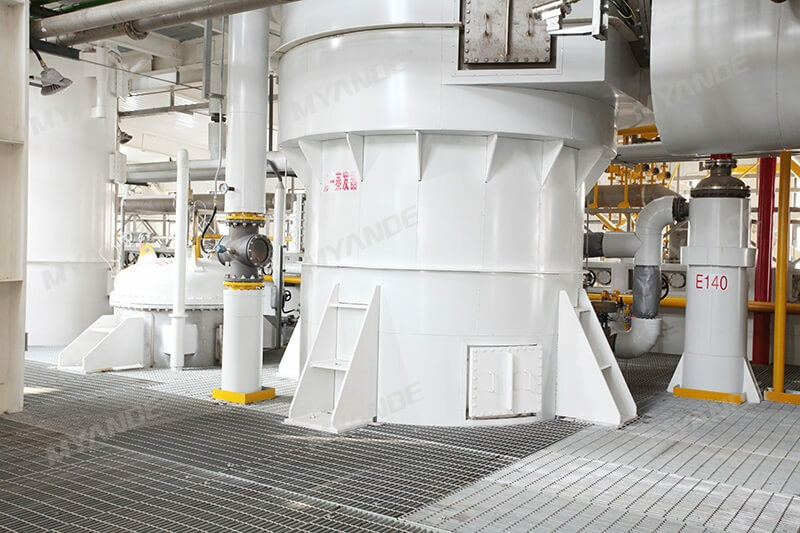 After saccharification, the material will be feed to RVF to remove protein residue, the residue can be used for feed. Remove organic impurities from sugar solution and improve the light transmittance of the finished product by active carbon. 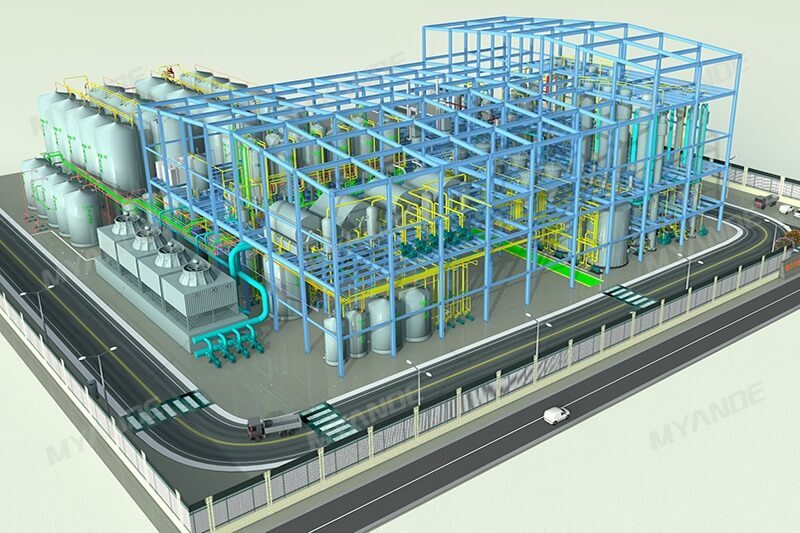 Adopt the high-efficiency plate type hermetic filter, using the full-automatic filter technology, to realize the automatic control program, automatic discharge carbon, unmanned operation, and lower the worker labor intensity. 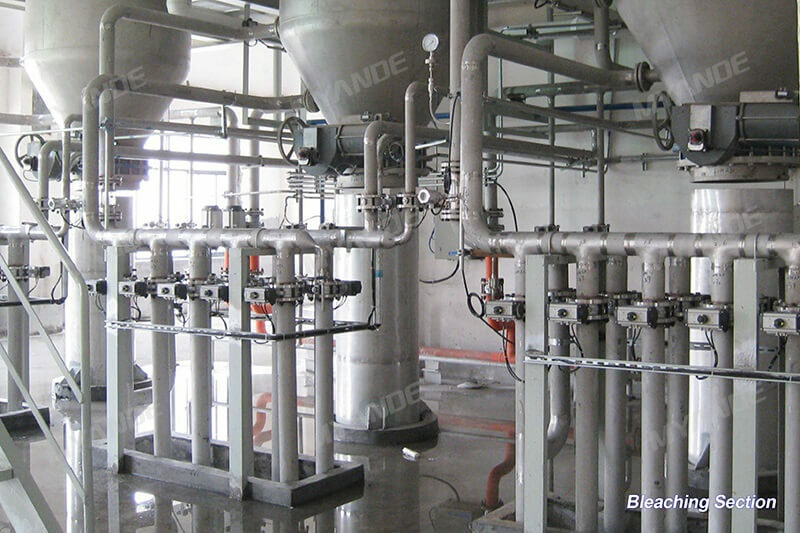 Ion exchange resin is used for removing mineral from solution, the method is to make solution through cation resin, anion resin, cation resin and anion resin in sequence. The purpose of ion exchange is to reduce calcium content and ensuring that the decolouring degree. 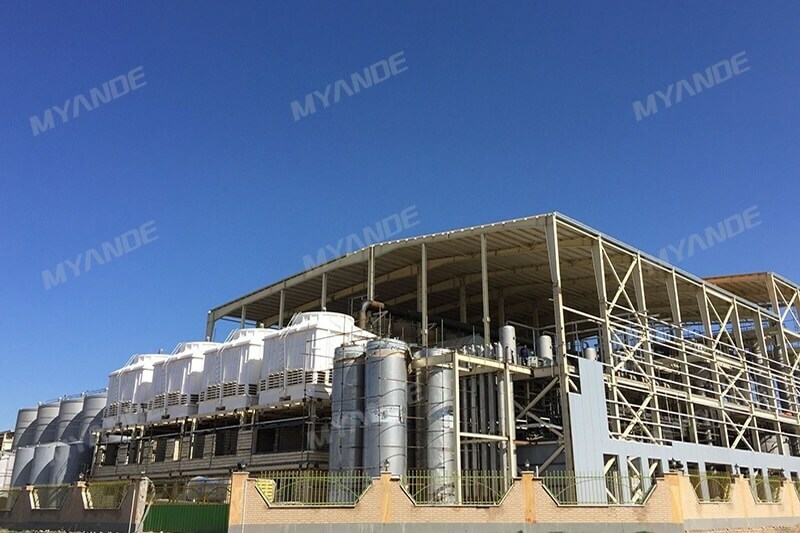 Adopt multiple-effect falling film evaporator to make the concentration to 75～82%, then go to filling unit.